ESHER & Walton MP Dominic Raab wrote the following column for readers of the Molesey News (Conservative newsletter) in September 2012, to update on his work locally and at Westminster. The government is taking a range of measures to dig us out of this economic rut – cutting business taxes, cutting the red-tape holding entrepreneurs back, and trying to help get finance from the banks to the viable businesses that need the lifeline. But, there is no going back on the plans to cut the deficit. The debt we have inherited from the last government is holding Britain back and is an appalling legacy to leave the next generation. It must be tackled. Beyond the economy, we are delivering on welfare reform, so that those on benefits don’t earn more than the average family in work. Schools reform is re-emphasising the importance of discipline and academic rigour – to equip our children with the skills to thrive in work and life. We have a cap on immigration that is starting to bring down the numbers. The Prime Minister vetoed an EU treaty that threatened the British economy, and has refused to implement the diktat from Strasbourg ordering prisoners be given the vote. Locally, I have been engaged with small businesses, local police officers at the new hub by the local, GPs and local charities. I intervened with Gladedale to help secure the landscaping of the Jolly Boatman site for the Olympics, and am supportive of efforts by local residents to purchase the site permanently. 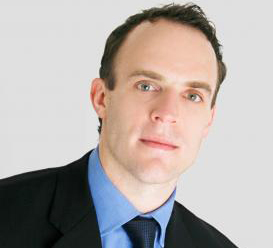 Visit www.dominicraab.com to contact Dominic or to sign up for his monthly newsletter.